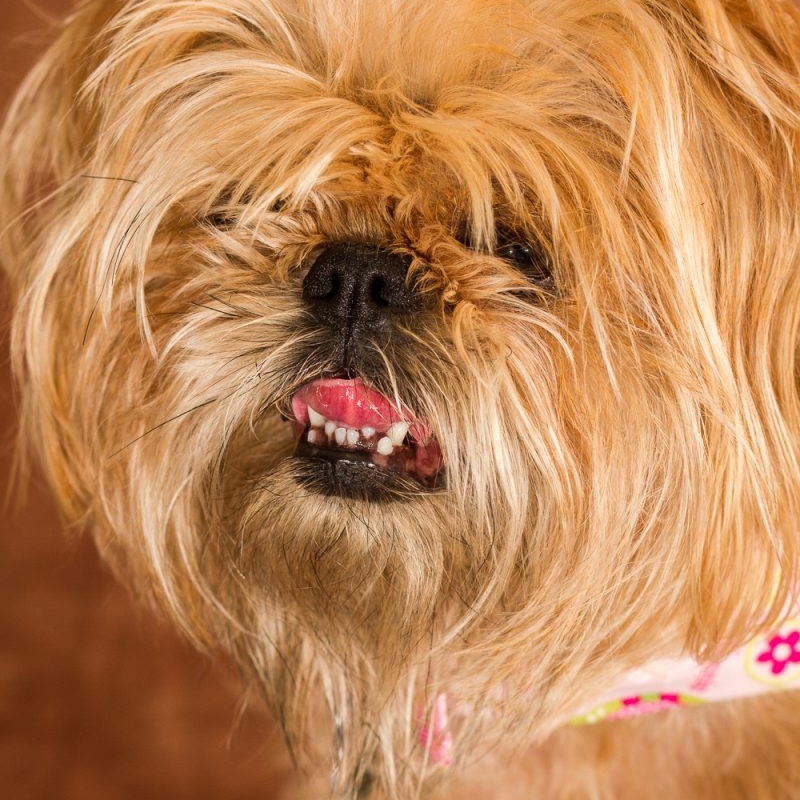 Whether you call this rough coated Brussels Griffon H. R. H. (for Her Royal Highness) Catherine the Great, Katie or Katie bug, one thing’s for sure, this pint-sized cutie is a scene stealer. Full of life and energy, this adorable girl brings a dog smile and a full wardrobe wherever she goes. In fact, Katie’s pastel runway wear with the billowing skirt, created by designer Severine Vicknair of Beatrice Ruth Designs, previously Pink Punk Puppy Designs, features over 100 hours of hand beading. Of course, a well-travelled girl like this one needs more than one designer, so she also recommends Annette Rhoades’ work through Designs by Annette for fashions such as her classic designer jacket.